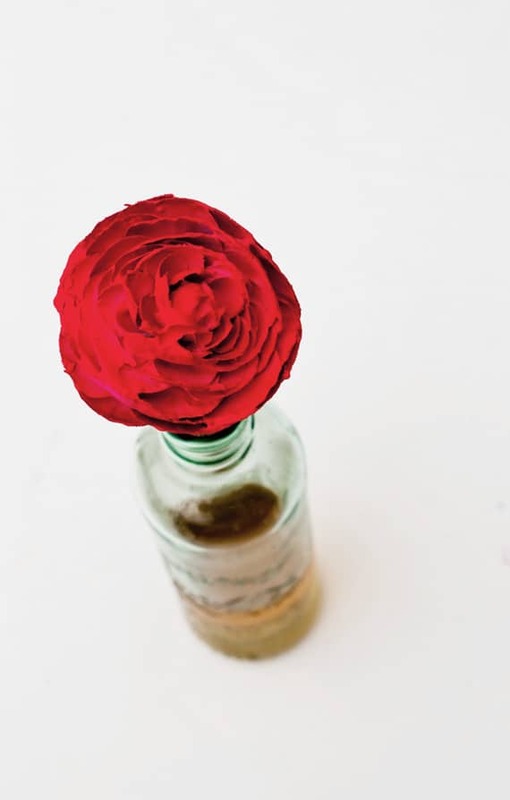 Use these cork screwed flowers to brighten up a beverage cart this spring. The painted corks will top any glass bottle nicely and bring a festive dose of spring brightness to a shower or party this season. They’d look especially sweet in mass at a large gathering’s wine bar or to brighten up a BBQ side table topping vintage coke bottles. Tip: corking glass soda bottles will allow for carbonation to remain if corked immediately after the cap is removed. 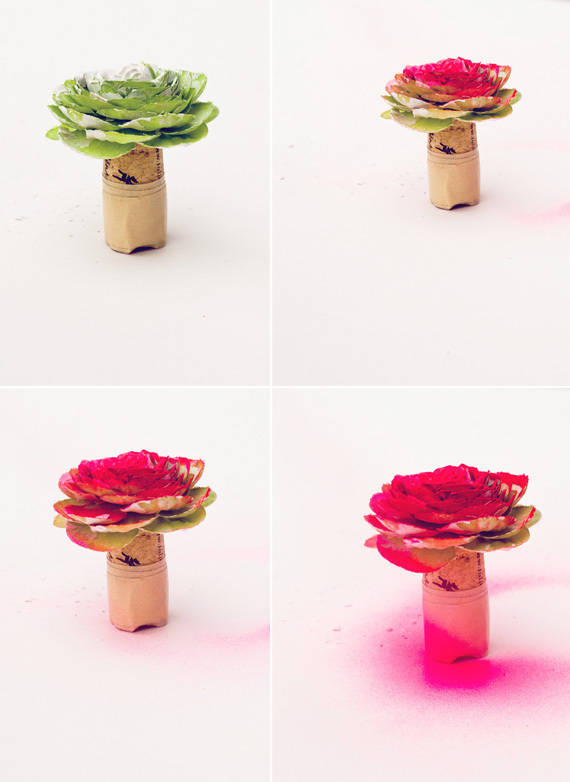 To make these bright flower corks you will need a collection of old corks, (or new ones purchased at a craft store). Be sure to wash them thoroughly and let completely dry. Tape of the bottom 2/3 of each cork with masking tape. Mix milk paint in your desired color for assured food safety, recipe here. Use other paint options if you can be sure the painted portion will never touch the liquid. Using scissors, twist a hole in the top of each cork. 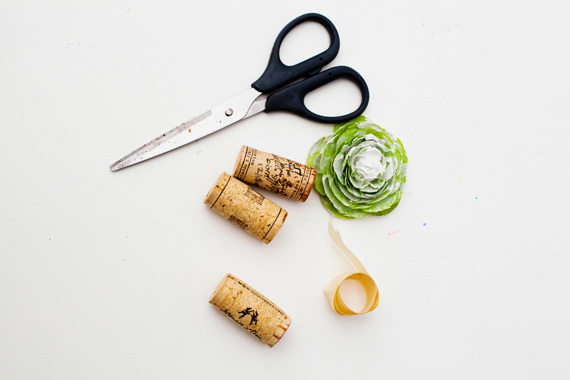 Remove the artificial flower head from the branch it was purchased on (one head per cork) and gently twist into the hole. Use a dab of wood glue to secure. 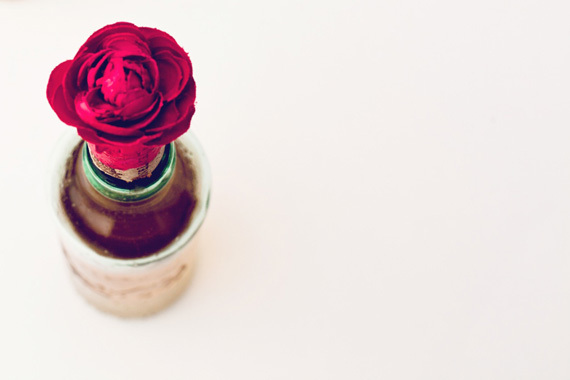 Place your flowered cork onto wax paper and spray with paint (milk paint can easily be sprayed with the use of a water spray bottle). Let dry and remove bottom masking tape. 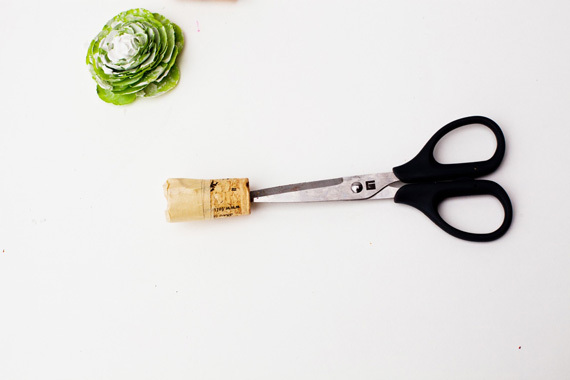 Test your corks to the bottle tops you plan to use and pare down with a knife for a perfectly secure fit. 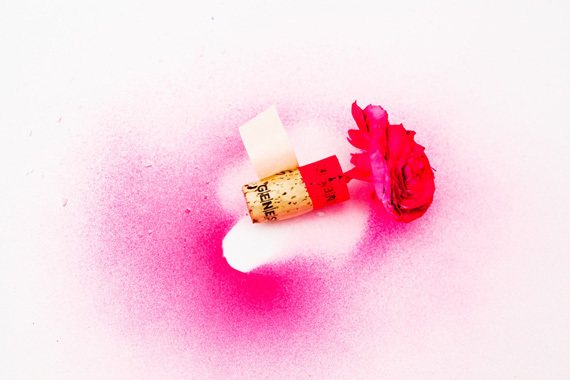 Photography by Erin Holland for a subtle revelry. See the entire Contrast of Spring Brightness story in Styled. issue five. Doing this to the flowers I was about to throw away. Thanks for the idea! Oh! I was about to get rid of some of hte Vday roses, but they can definitely be used for this (for a dinner party this weekend)! Brilliant idea and oh so beautiful. I can just imagine a whole beverage cart (or ice bin) full of all different colours! what a gorgeous, gorgeous idea! Your little bottle stoppers are so sweet, very well done! 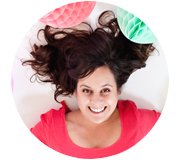 I have this linked to my cork post too today, nice job!